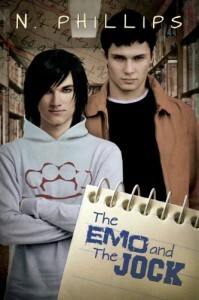 I really enjoyed the idea of this story- the emo outcast type and the jock type, falling in love. The jock doing the one chasing for once was great. Watching them connect was great.But then there's the bad. First off, the editing was horrible. Wrong words, and lots of words were just missing letters. It just needed some work. Then there was Charlie. I think his crazy was just shoved in there to produce more drama, and the story didn't really need it. I think it would have worked much better to have Charlie be just your run of the mill ex scheming to get him back, rather than have him be flat out crazy, doing the things that he did. The story just would have been better off without that part.But all in all, I still enjoyed the story, and will probably check out more by this author in the future.